“Gentle, smooth, natural shapes that make you feel an outdoor experience within home walls. A contemporary star renovated by new material combinations for more versatile uses. For those who want to relax in a combine of functionality and elegance”. 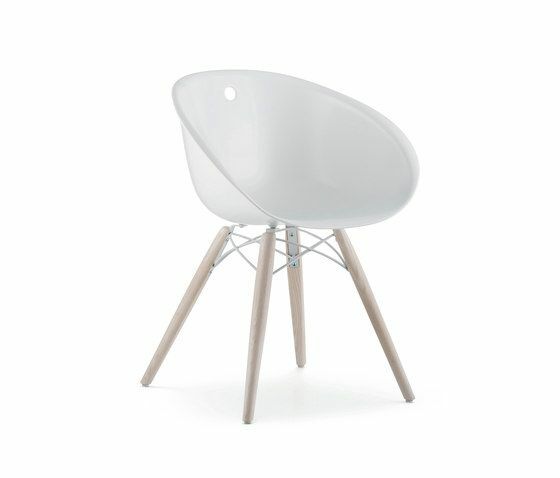 Gliss Wood chair has ash wooden legs and polycarbonate, technopolymer or upholstered genuine leather shell.